Matthew Thornton may be one of the cherished names written on the Declaration of Independence, but his real accomplishments were in leading the people of New Hampshire through revolution and into a new government. As a boy, Matthew Thornton immigrated with his parents from Ireland to what is now Maine. At the age of nine, his community was attacked by Native Americans. He fled from a burning house with his parents to the safety of Massachusetts. When he came of age, the brilliant young man studied medicine and became a physician. Matthew set up practice in New Hampshire, the place he would call home for the rest of his life. Over the ensuing years, Thornton was appointed as both a surgeon and colonel in the New Hampshire Militia. He also received the title of Justice of the Peace. When the American Revolution began, Thornton was already President of the Provincial Assembly. In this position, he took the lead in transitioning New Hampshire to a new government. After the Governor fled, Thornton wrote the a new constitution for the state. This was almost a year before the Declaration of Independence, making New Hampshire the first state to create a legal code separate from Britain. 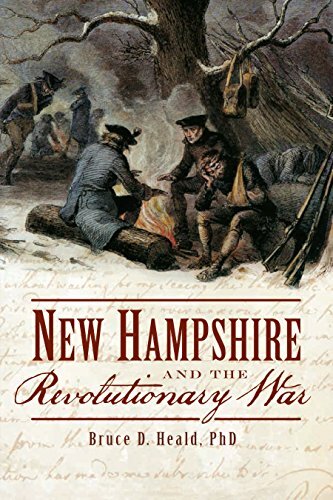 Additionally, Thornton penned an important letter to the people of New Hampshire which rallied support behind the Patriot Cause. He was sent by his State as a delegate to the Continental Congress in November 1776. 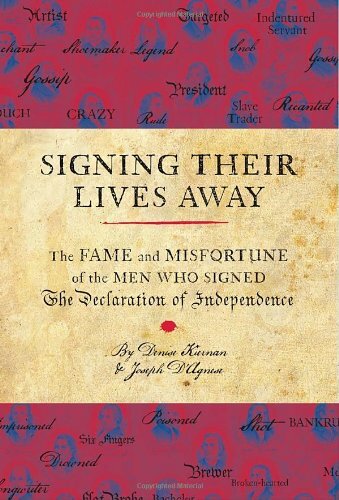 Although he was a few months late, he was still permitted to sign the Declaration of Independence. His name is squeezed in at the bottom with the Connecticut Founders instead of with his New Hampshire fellows. Matthew Thornton would return home to lead his state for the remainder of his life. He became a justice of the New Hampshire Superior Court as well as a member of the State Senate. He retired from medicine to operate an inn and ferry with his wife which ran from Merrimack to Litchfield. Thornton’s Ferry would go play an important part in the agricultural growth for this region of New Hampshire for more than 100 years. While there is not a Matthew Thornton biography I can recommend, both of these interesting books have further information on the man. Purchase one from Amazon, an affiliate we trust.